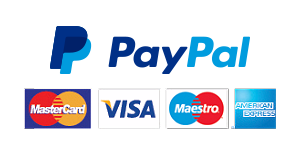 Reasons why bags might better suit some customers. 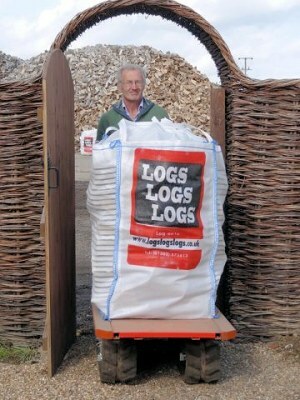 Our log carrier can easily transport bags through gates wider than 87cm for Small bags and 134cm for Medium bulk bags. LARGE AND EXTRA LARGE BAGS CANNOT BE MOVED BY THE CARRIER. No mess on your driveway especially where you have small pea shingle (bark, slithers). The bags are semi–waterproof so no need to put under cover, or this can be done at your convenience. Shortage of space? Our logs are well contained within their bag. The two smallest bags can be moved via our log carrier through narrow gates (87cm minimum width for small bag, 134cm minimum width for medium bag), over stone, grass etc and positioned exactly where it is most convenient for you and your fireplaces. Our log carrier can go where others can’t! In some situations - if it is more convenient for a customer - the crane on the truck can lift a bag over a wall, fence, etc. A bag of wood is less likely to get in the way when a car returns home. Sometimes due to lack of space, a tipper truck with loose logs has to tip right in front of the garage door! Much better value when compared to the small bags of logs, which you can buy on garage forecourts, but with all the convenience and more besides. Our log carrier can go where others can’t! In some situations, if it is more convenient for a customer, the crane on the truck can lift a bag over a wall or fence. To sum up, bulk bags can offer greater convenience in so many different ways. Bulk Bag deliveries leave no mess on your driveway, especially where you have small pea shingle.